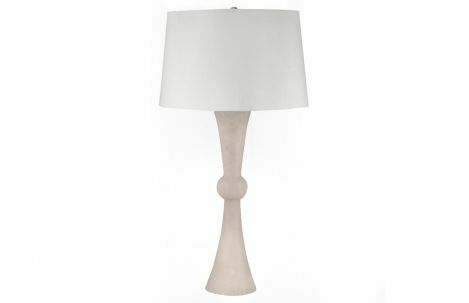 Table lamp has a natural stone finished base with a cotton shade. Table lamp has a natural stone finished base with a cotton shade. 100 watts, 8’ silver cord.